You are viewing a 4 week unit for phonics. 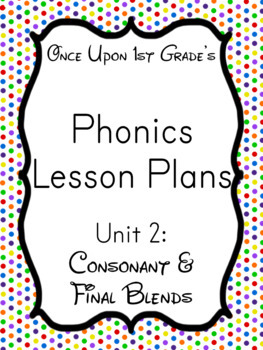 This unit includes daily lesson plans and worksheets for L blends (week 1), R blends (week 2), S blends (week 3), and final blends (week 4). This unit was created for 1st grade by a 1st grade teacher but 2nd grade and kinder teachers may also find this useful, too. 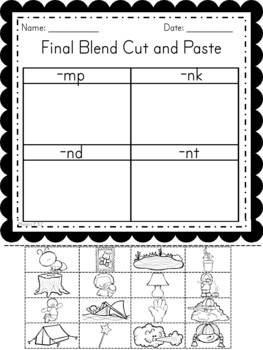 Lesson Plans are on a single page a day and include weekly sequence (week at a glance), TEKS, list of supplies (including what worksheets you need), lesson, and whole group independent work instructions. These lessons are aligned to the Texas TEKS but also align to the Common Core-the numbers just aren't on the lesson plans. 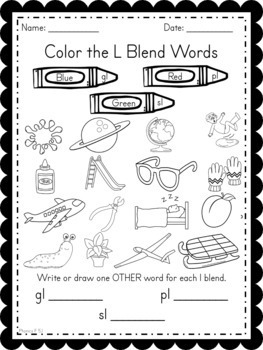 However, the lesson plans ARE editable (on a word document) both so you can edit them for your class and standards and also so you can copy into your own lesson plan template if need be.